Saosin performed “You’re Not Alone” and “Seven Years” with both of their previous vocalists, Cove Reber and Anthony Green, on the first night of the band’s holiday shows. A fan shot video has been uploaded on YouTube. Saosin has been ending their recent shows in California by playing “Voices.” A fan shot video can be found on YouTube. Senses Fail are recording their new album with Beau Burchell of Saosin. Beau Burchell will lead an exclusive livestreaming class offering a complete walkthrough of how he mixed “The Silver String”. NTM subscribers can download the multi-tracks today, then join Burchell for the livestream on May 28. NTM will also host a Q&A chat with Burchell on May 15 at 2:00pm ET, exclusively available to subscribers. The way the EP was written was basically separated by time and place, and Anthony came in and laid multiple ideas over the top and it was kind of “created” on the spot. It was like a long demoing process with time in the rehearsal space. It was more, “Hey, we have these songs and we’re looking for a singer; do you have some ideas to throw over the top?” And that’s kind of how it happened. With the self-titled, we had not only a lot of expectations—with the success of the EP and “Bury Your Head,” years of touring and signing to a major label—but also, we had a few more egos in the bunch. I did not write a note on the first EP, but I did exclusively write the music for “Bury Your Head,” so it was kind of this weird dichotomy of history with a fresh perspective. Cove and I were relatively close and would write the most together. Cove had some huge shoes to fill as well, and there are moments on this record where he was completely confident and others where he was scared shitless, and I think that really comes out in the songs of this record. It’s all truth. Saosin recently spoke with Punkvideosrock about recording Along The Shadow, fitness, and parenting. Surely by now you have heard the good word: almost two years ago, Anthony Green rejoined Saosin, the band he fronted back in the early to mid-2000s, for a series of long-awaited headlining dates. It was unknown at the time whether the band would ever reconvene for a proper full-length with Green on vocals. But sure enough, here we are in 2016, and Saosin has just released Along The Shadow, their first full-length in seven years. The titular shadow could well refer to the dark specter of expectation that looms over this comeback album. Saosin’s new album, Along the Shadow, is now up for stream on Pandora. This first impression was originally posted as a live blog for supporters in our forums on May 3rd, 2016. First impressions are meant to be quick, fun, initial impressions on an album or release as I listen to it for the first time. It’s a running commentary written while listening to an album — not a review. More like a diary of thoughts. This post has been lightly edited for structure and flow. Let’s take a listen to the new Saosin album. Same thing goes as before — spoilers abound, I reserve the right to change my opinion as time goes on. I’ve got multiple beers sitting in front of me, and I’m hitting play and just going to type out my thoughts as I listen. Saosin’s new video for “Control and the Urge to Pray” has been released via Billboard or YouTube. Saosin’s new song “Control and the Urge to Pray” is streaming on Apple Music. The new album, Along the Shadow, will be out May 20th via Epitaph Records. Saosin’s new album, Along the Shadow, is up for pre-order on SRC Vinyl. Saosinʼs new song “Racing Toward a Red Light” is streaming on YouTube. The album will be out on May 20th through Epitaph Records. Saosin have signed with Epitaph Records and will be releasing a new album this spring. A teaser video can be found on YouTube or by hitting read more. 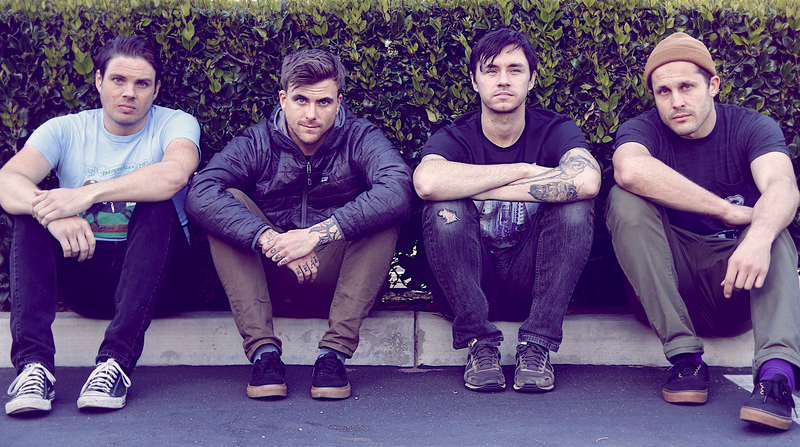 Craig Ismaili reviews the new album from Saosin featuring Anthony Green. Jason Tate does a first impression live blog for supporters on the new Saosin album.